The 2 bladed folding pocket knife is rarely seen due to manufacturing complexity. The blades need to be fitted so that there is no blade play and at the same time remain easy to open. The finished pocket knife needs to have a smooth profile where the 2 springs meet the blades, without any rough edges in closed and open positions. 2 blade folding pocket knives generally contain 2 different blades shapes, for example the Sheffield Lambfoot blade paired with small spear point blade. 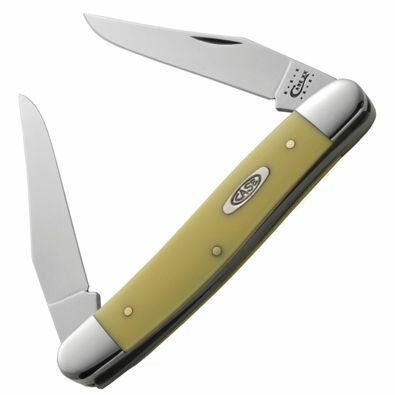 The exception to this rule is the American ‘Muskrat’ pocket knife design, which has 2 identical clip-point blades. Shop and buy the best 2 bladed folding pocket knives from £51 with free UK delivery.